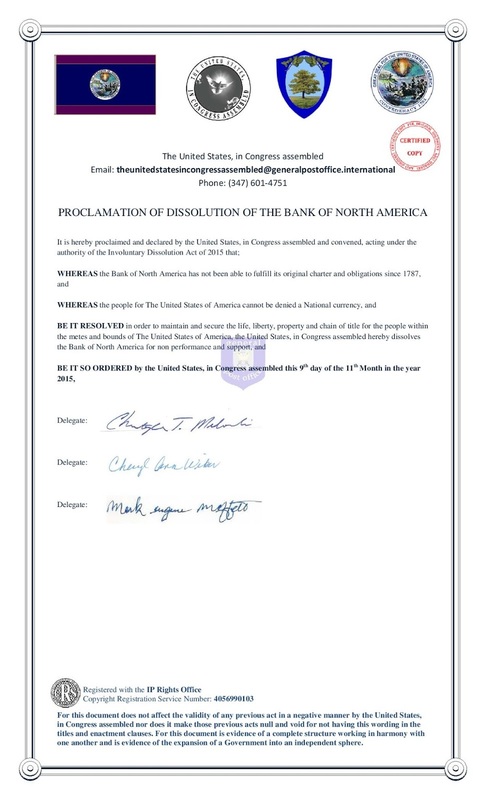 The United States, In Congress Assembled: PROCLAMATION OF DISSOLUTION OF THE BANK OF NORTH AMERICA. 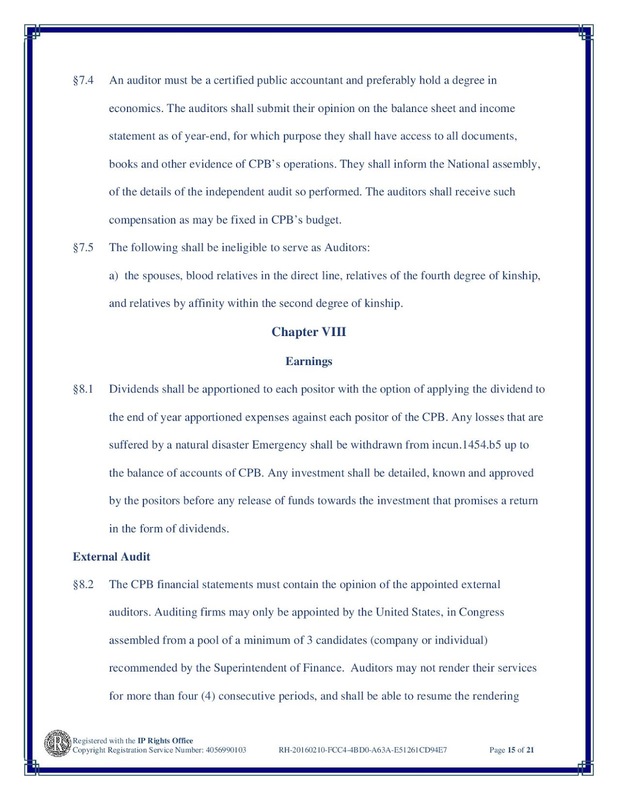 Hello everyone, I am Juan Antonio Ceniceros, and hold the office of the Treasury for the Government of The United States of America. 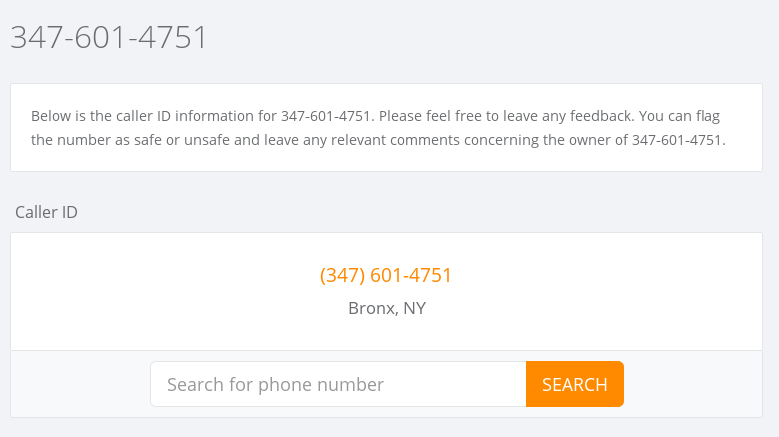 This office is not connected in any way to the Treasurer of the United States – Rosa Gumataotao Rios, the United States, Washington D.C., or Manhattan Island. There are some rumors starting to circulate that is obviously scaring some people. We don’t know how these rumors have started, specifically that this currency is backed by gold. The important thing to remember and notice is that the Continental Dollar has “National Currency” noted on the currency itself. That is what is scaring the global communist regime. The “National Currency” wording has them scared and people are finally waking up. That is why these rumors and attacks have started. Also, someone has claimed that these are “fakes”. This judgment is based solely on viewing the images in the newspaper and no other investigation by these people have been made. Are you even a qualified forensics currency investigator to make these claims or are you part of that global communist regime that is trying to take what is rightfully for the people and you want to keep everyone enslaved. The attacks keep coming, such as the “rainbow currency” as if to imply that it is associated with some rainbow organization. 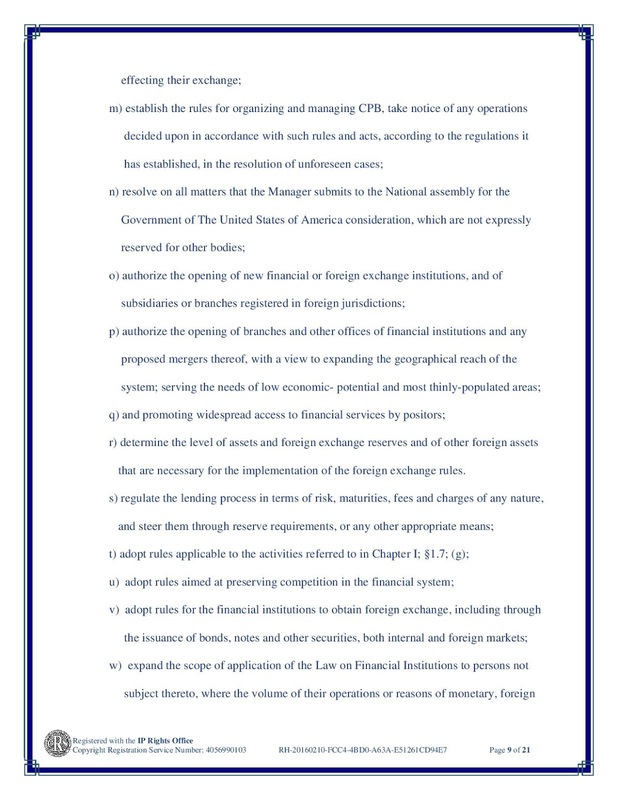 Since when does the IMF declare what is real and what is not real? They are the same people enslaving everyone under their communist regime. 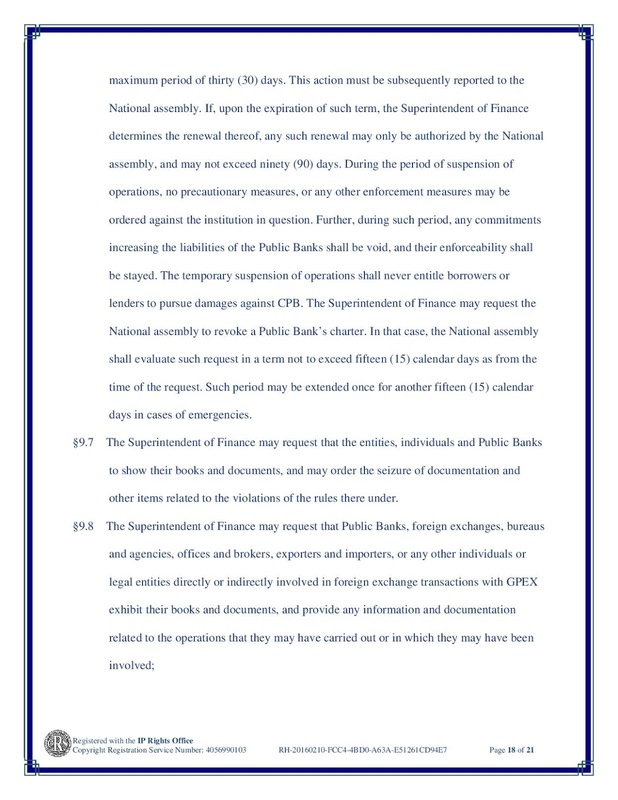 The term “National Currency” is a direct threat to their plans of a world government. It is going to take the people to make sure that a world government does not happen. Further, the National currency is here now and no one knows whether or not Donald Trump is going to go back to a national currency. The Continental Dollar is the peoples National Currency. We have to start with National currency and legal tender, then we move towards gold and silver when the country is secure. There is too much crime in this country to trust that gold and silver will not cause attacks and murders on the streets at this point in time. At this point, the communist regime is already murdering police on a daily basis, why would anyone in their right mind put gold and silver on the streets when the communist party would steal all of it for their own self serving causes? 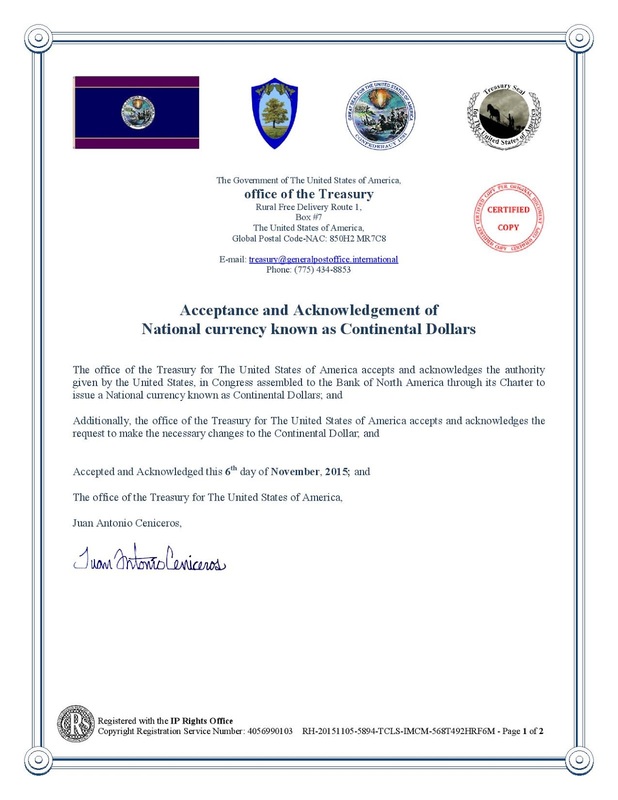 The Continental Dollar “National currency” is the first step folks. One step at a time and we can all make this happen for the next generation. 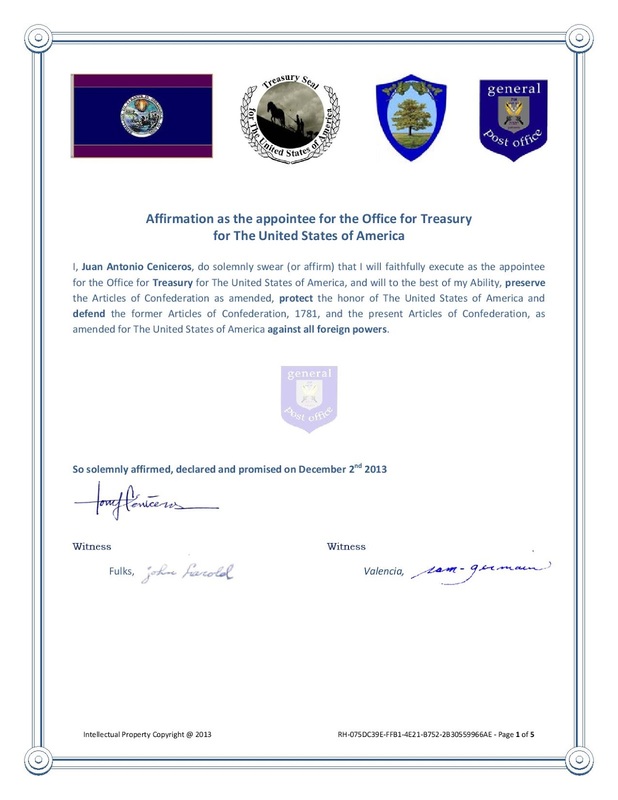 Juan Antonio Ceniceros Affirmation as the appointee for the Office for Treasury for the United States of America. 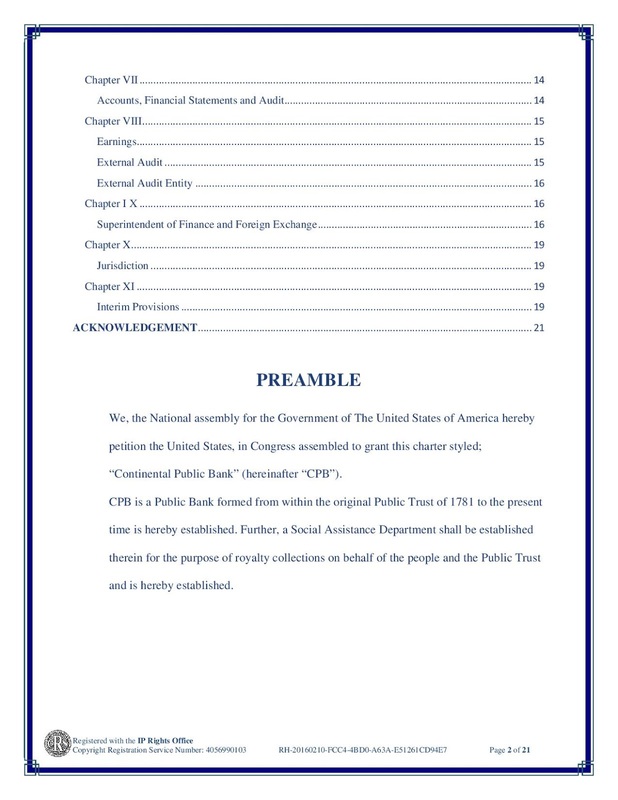 Re: The United States, In Congress Assembled: PROCLAMATION OF DISSOLUTION OF THE BANK OF NORTH AMERICA. 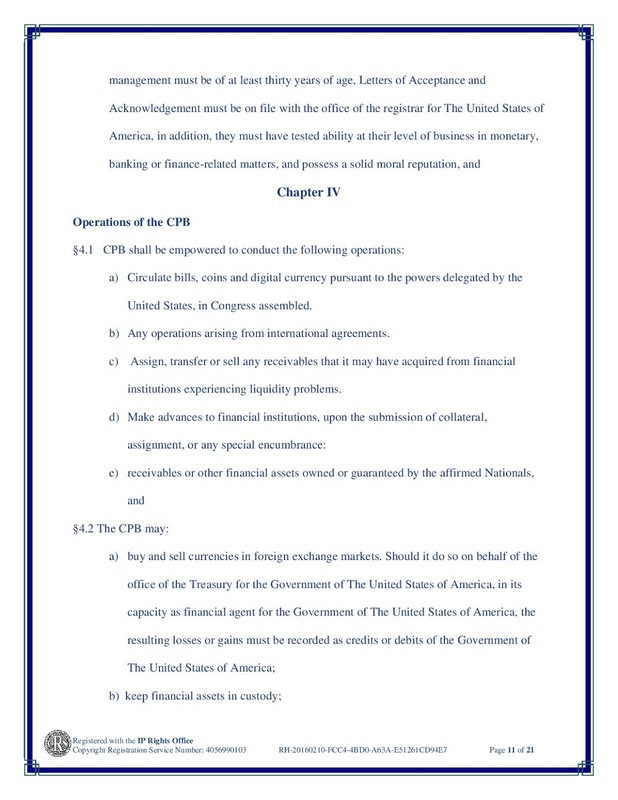 Office of Treasury: Acceptance and Acknowledgement of NATIONAL CURRENCY known as CONTINENTAL DOLLARS. 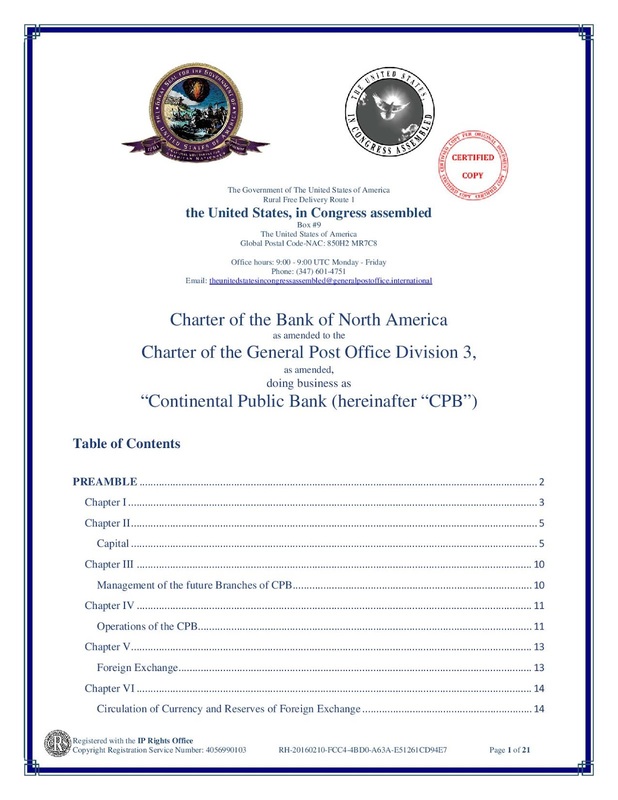 The United States, in Congress Assembled: (The BANK OF NORTH AMERICA, THE GENERAL POST OFFICE DIVISION 3, CONTINENTAL PUBLIC BANK (CPB). Check this out! FUNNY STUFF! 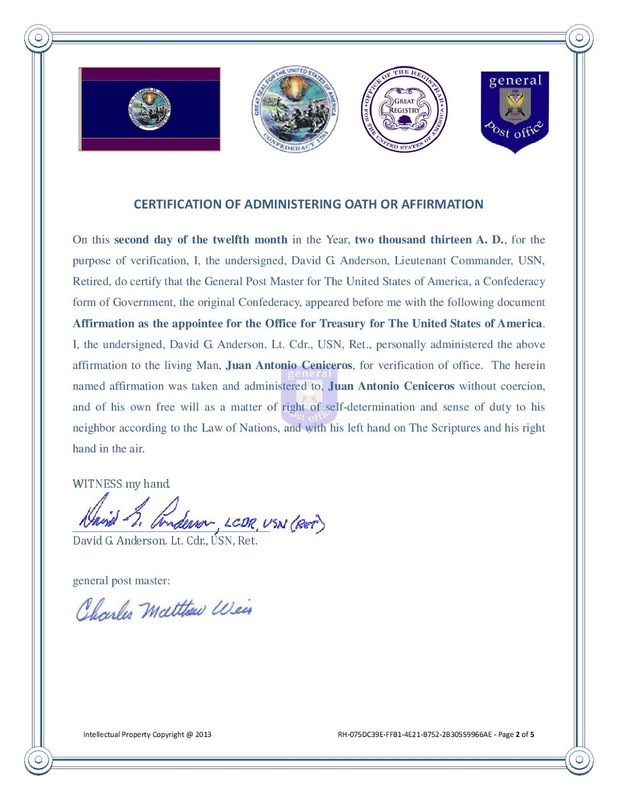 The Government of The United States of America hereby introduces Stuart Andrews Ronaldson as the new Governor for the Government of The United States of America. The violence that has been occurring since the company election is hereby ordered to cease and desist. 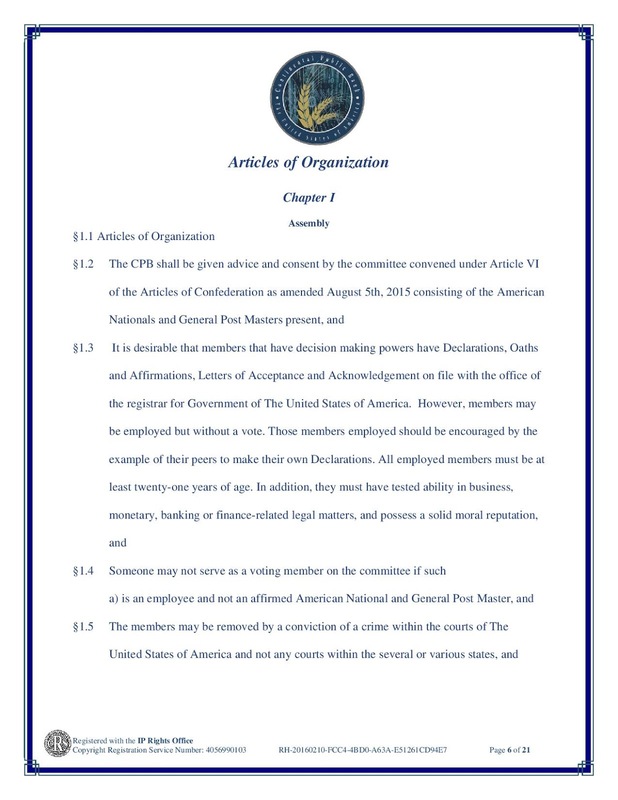 Whomever is threatening anyone else over an election including but not limited to the people in the Hollywood network are in blatant violation of human rights as written within the Universal Declaration of Human Rights. Inciting is a serious crime that was a part of the war crimes charged against the Nazis in Nazi Germany. Inciting would include statements that are threatening to kill another or attempting to incite the people to anarchy. It is very disappointing that the States are not doing anything to stop the violence nor is the Barack Hussein Obama. This may mean that the people not saying anything to stop the violence are attempting to cause a condition wherein UN troops are needed to stop the violence. A condition of lack of performing ones duties to maintain the peace is an act of inciting. 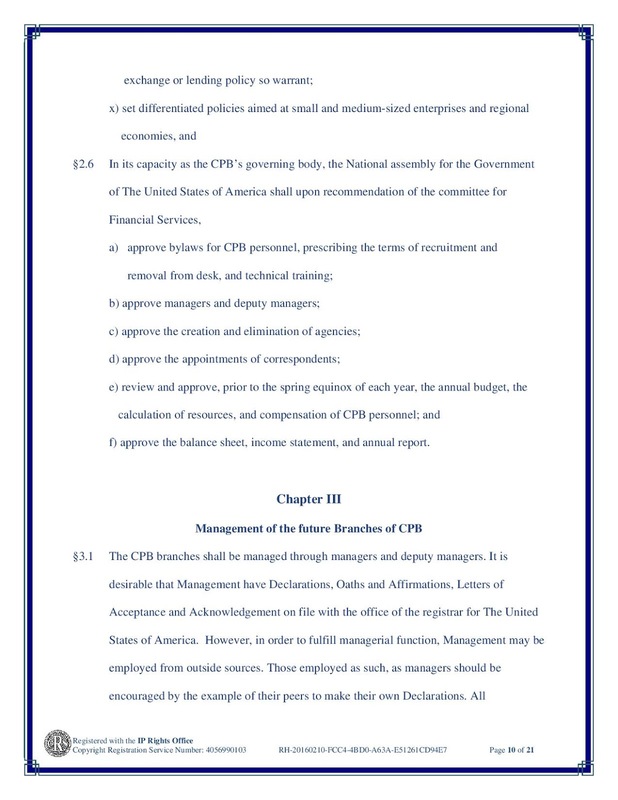 The United Nations is to cease and desist all political plans to abolish National Government within the metes and bounds of The United States of America. At this moment in time, corporate media outlets are number one on the list of human rights violators in the form of inciting the public at large to blatant violence against its opposition supporters. 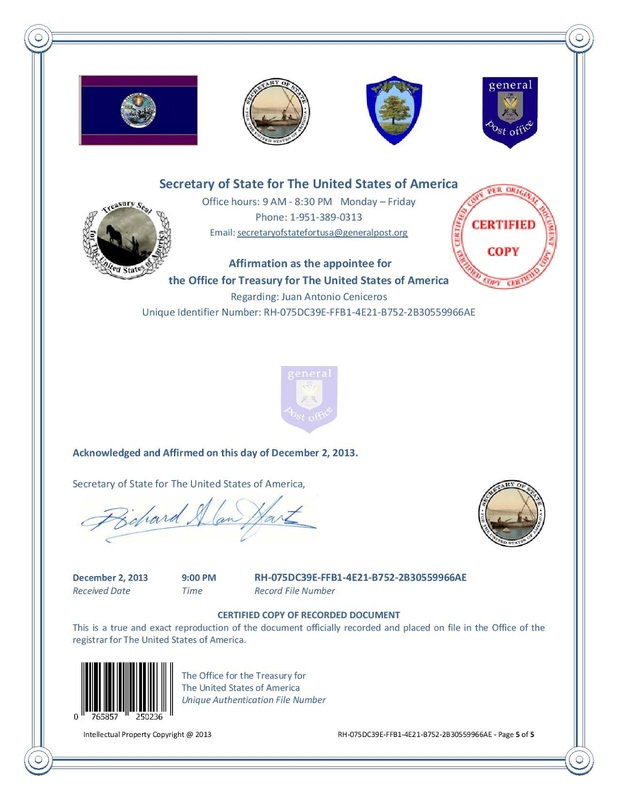 The office of the Governor for the Government of The United States of America calls for immediate cease and desist of all violence that is derived from the past election otherwise face international human rights violations against those persons mentioned above and others. The violence that occurs which result in human rights violations within the metes and bounds of The United States of America is within the jurisdiction of the Government of The United States of America. 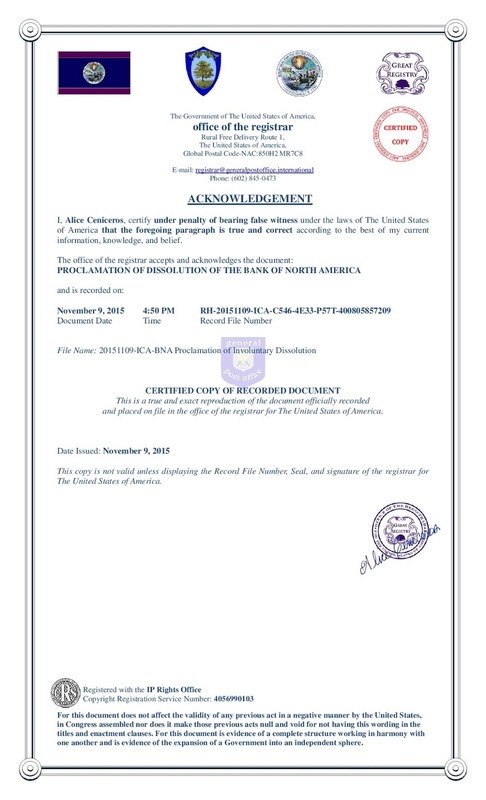 A self notarized document??? LMAO!! Was this ever published in the mainstream media or just some whacked out blog site? Sorry there fake tresuary dude. But it's all fake! Sounds like an alternate reality to me. Introducing the new Continental Dollar paper version! 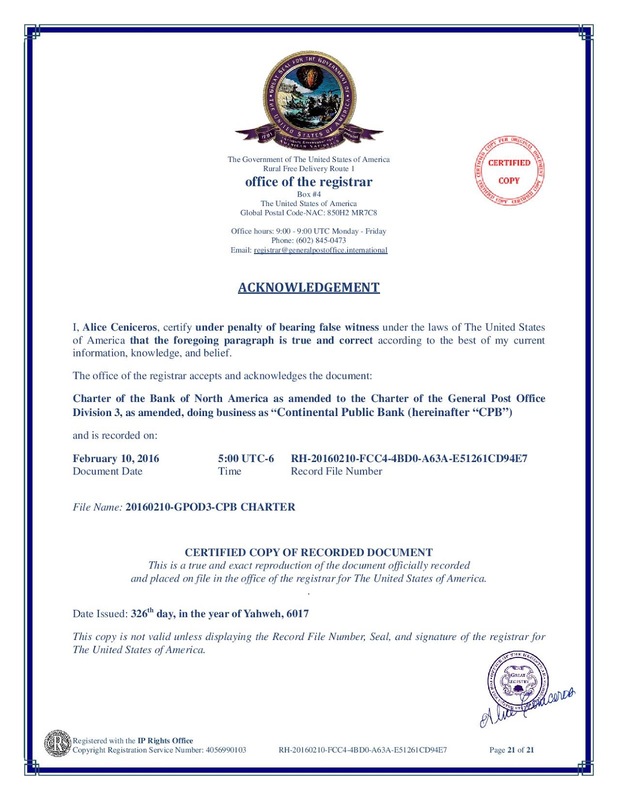 The introduction of the paper version of the Continental Dollar makes the Continental Dollar available in coin, digital currency and a paper version. 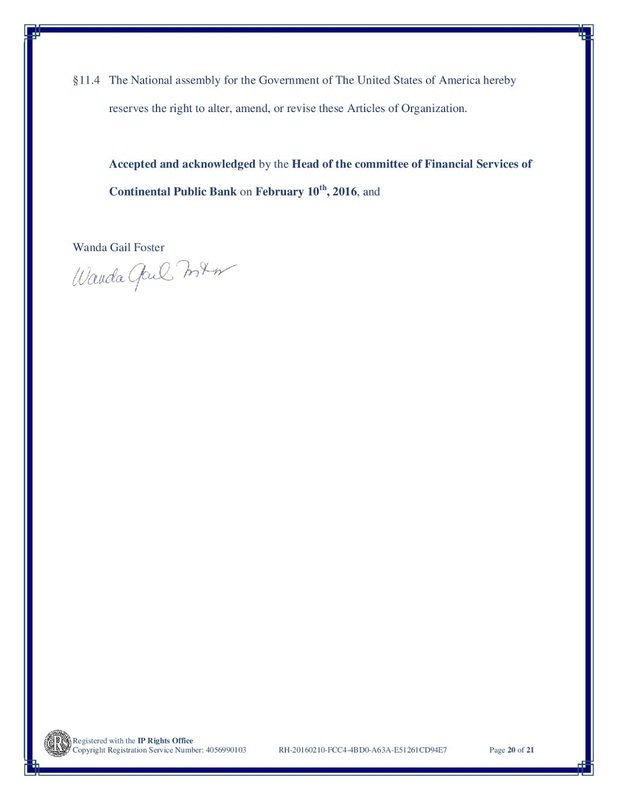 The assembly would like to use hemp paper to print the currency on if the General Public demand for it exists. The designs are meant to honor the various people that have made significant contributions to America in its development. The coins are being re-designed to match the paper version and will be available soon. The digital version of the Continental Dollar is available here:https://www.continentaldollar.co. 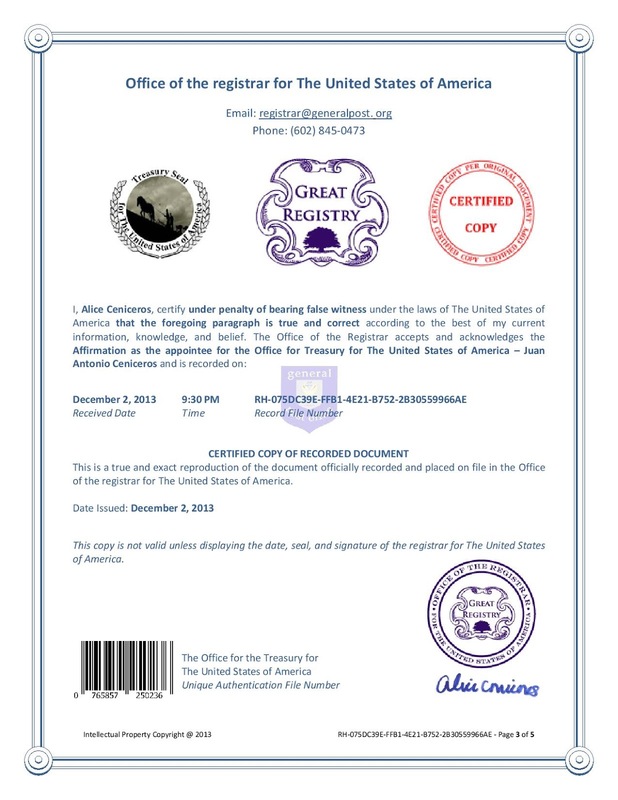 Plus the digital version will be redeemable for the paper version or the coin as soon as possible. 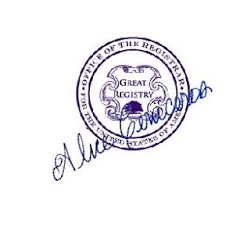 Juan Antonio Ceniceros, holds the office of the Treasury for the Government of The United States of America, and this office is not connected in any way to the Treasurer of the United States – Rosa Gumataotao Rios, the United States, Washington D.C., or Manhattan Island. This is very important to understand and do your own investigations. 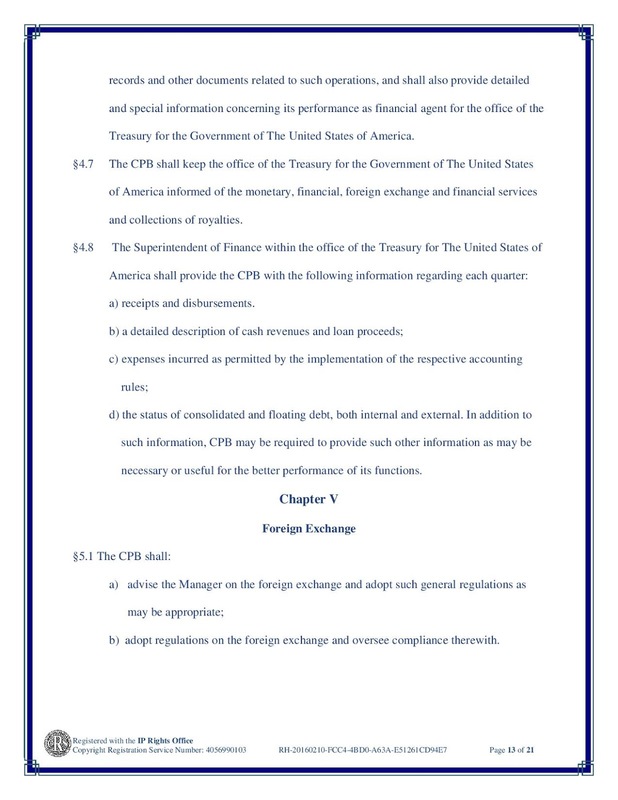 Is this legal tender of the Government of The United States of America, backed by silver, gold and other hard assets? 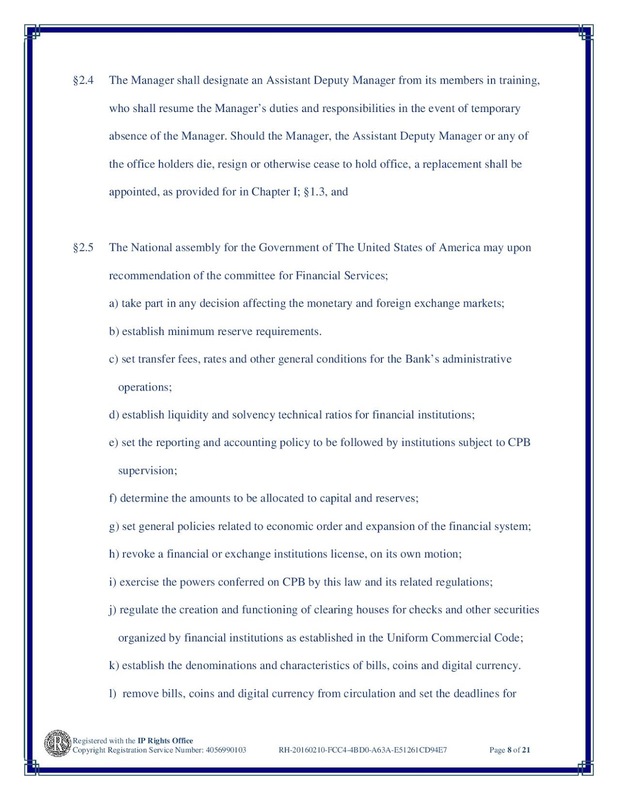 Regarding the legal tender of the Government of The United States of America, is this currency already printed and ready for distribution at all major corporate banks (Wells Fargo, Bank of America, Chase, Citibank, etc)? 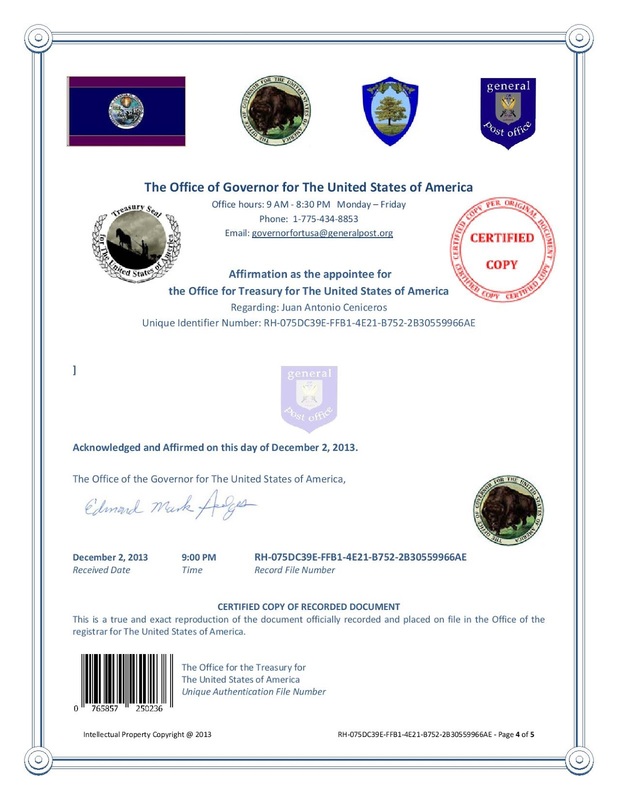 What is the expected release date for this new legal tender of the Government of The United States of America? How will the general public and global population be educated and notify that these new notes are legal tender of the Government of The United States of America? 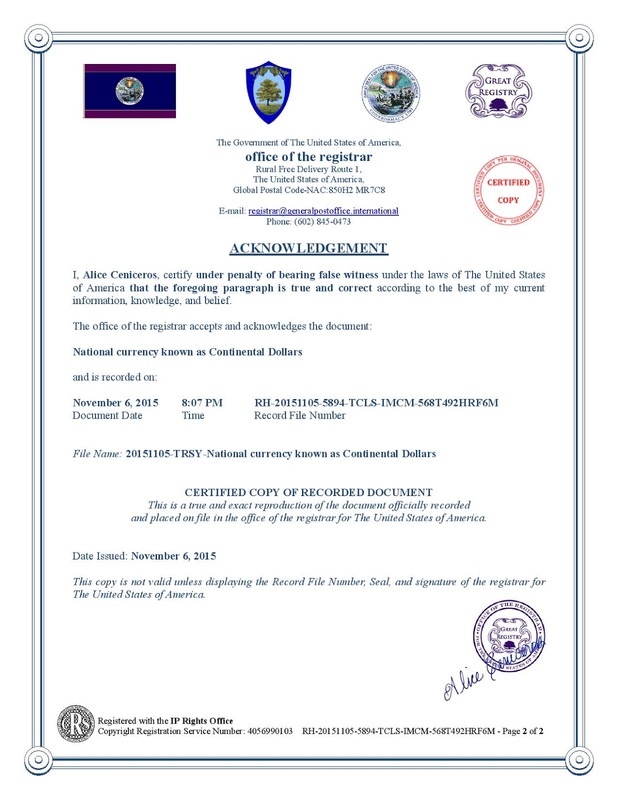 The photos released of this legal tender of the Government of The United States of America is of low image quality. It is hard to read and interpret the different images on the currency. Can you provide better photos or an information packet that shows the front and back of the currency as well as additional information about each note? Feel free to provide any other information you find necessary. 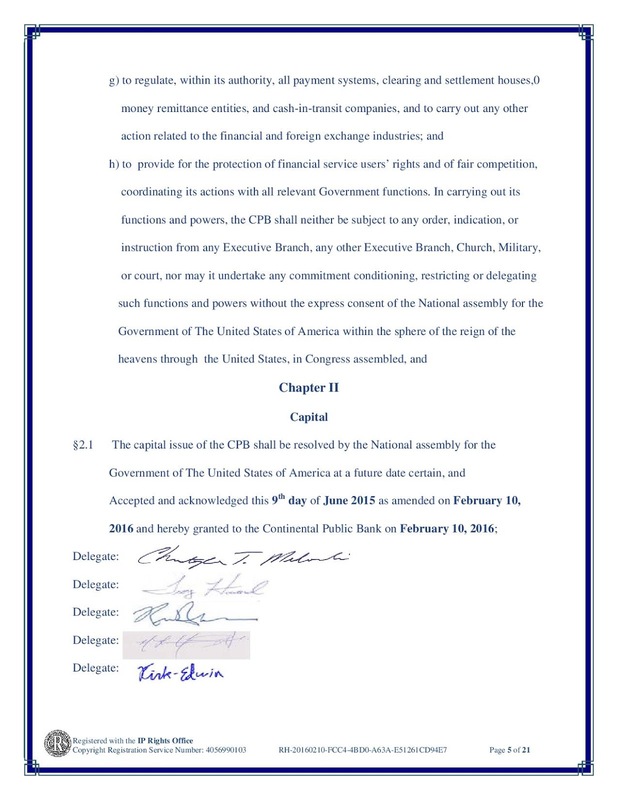 Note the currency symbol is a (+) for the Continental, whereas the private religious script (FRN) that is unrecognized by any constitution… uses the ($) symbol. 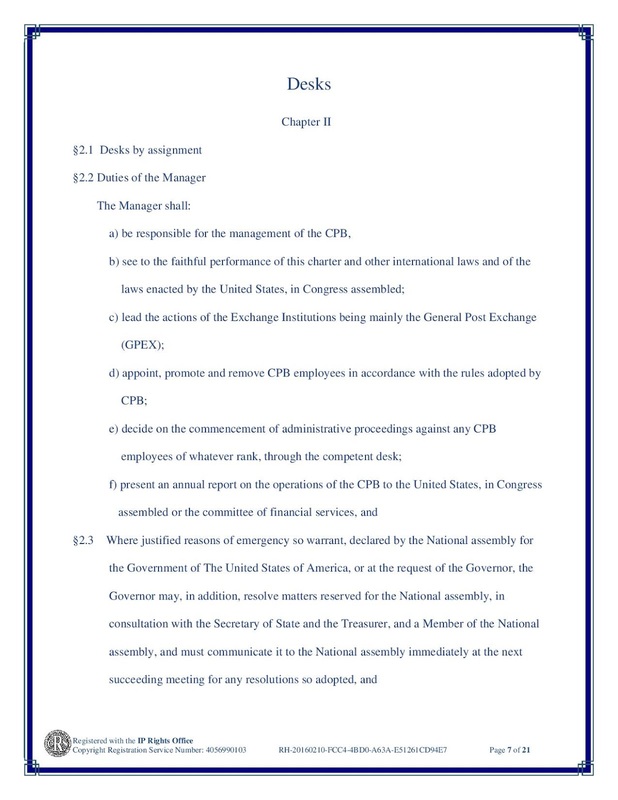 “I point these quick details… so that you may begin to understand that the Government of The United States of America exists and the currency authorized by the Government of The United States of America is the Continental Dollar. [Juan Antonio Ceniceros] “The Continental Dollar has been in use for about a year and a half. This has been hidden from the people on purpose because of the Global Elite and their agenda. 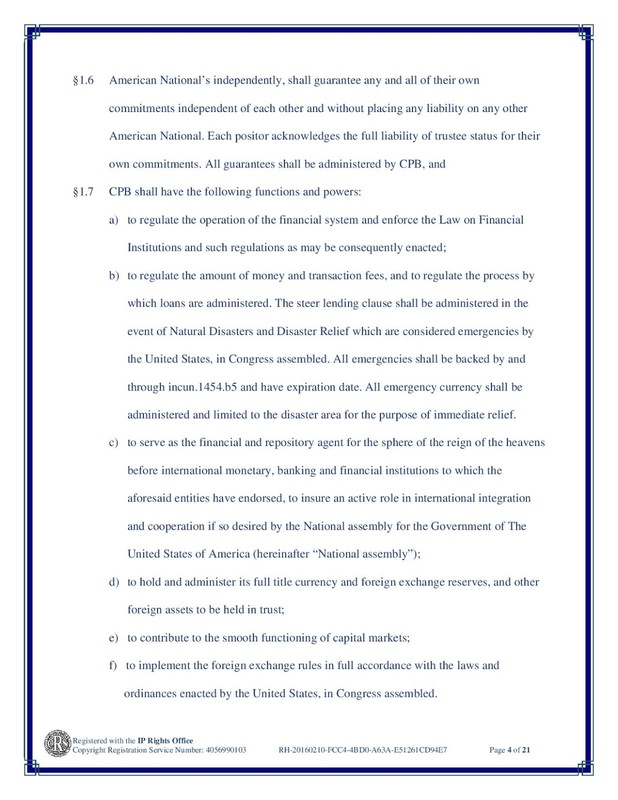 The American Nationals have been using the Continental Dollar to pay the IMF for postage bills, various fines if needed and other types of Government bills… The people of this great country are… being dis-informed by the claims that these are issued by the “US Treasury” or that they are backed by gold. “The way back to a country is to start with a National currency and then move towards a gold and silver backed money. That is how the colonists did it and that is how we have to do it. 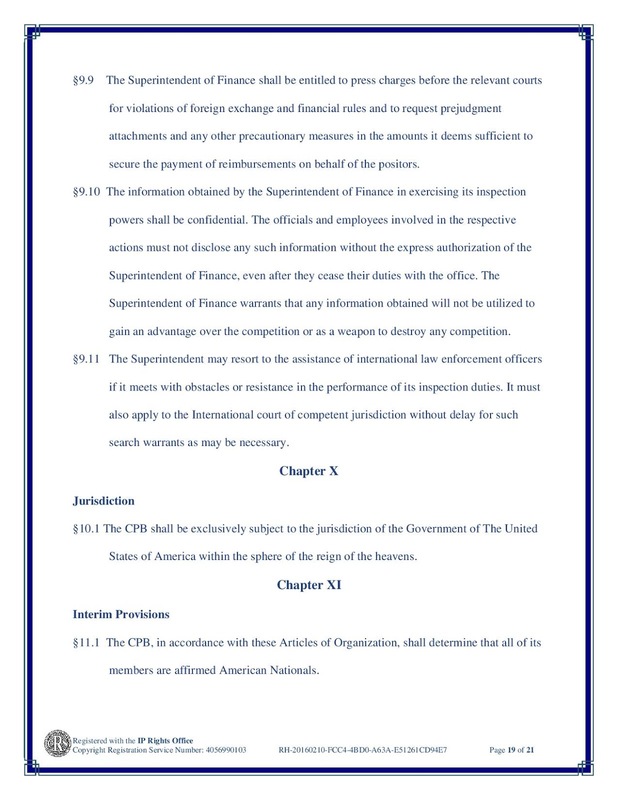 “The office of the Treasury for the Government of The United States of America would like to thank those who see the benefit for all and are helping to share this information… It resonates with most because you have come to that conclusion by researching and putting the information together. The Continental Dollar is printed on hemp paper. I declare this is the United States of Dinarland with President TNT Tony at the helm. Everyone is going to be so rich, there will be no need of any bills smaller than $100. In honor of this momentous event, here is a sneak preview of our new currency! 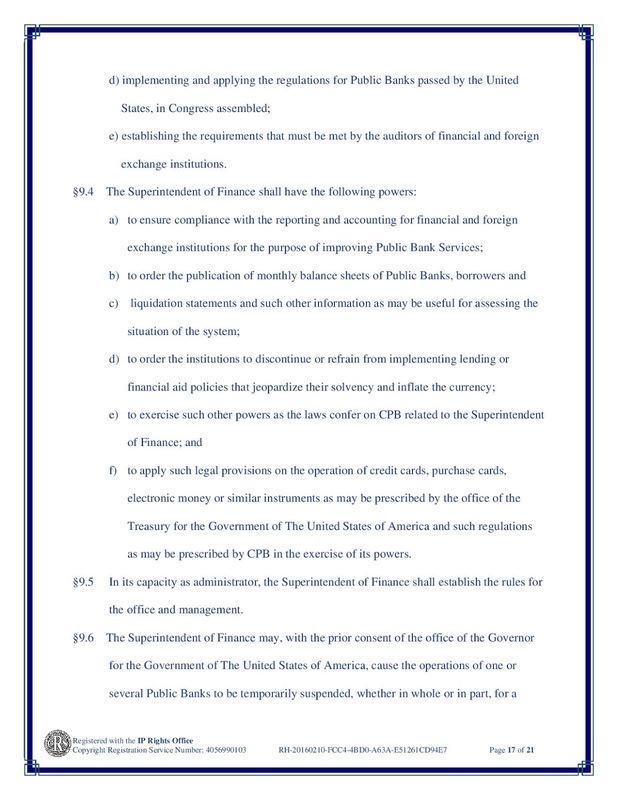 Wow, those bills would be a counterfeiters dream. Simple graphics, easy to generate and print. no safeguards, ordinary ink, I love how they just copy and pasted images readily available on the net and as an added bonus, they gave us nice high resolution images so we don't even have to make our own ... Idiots! 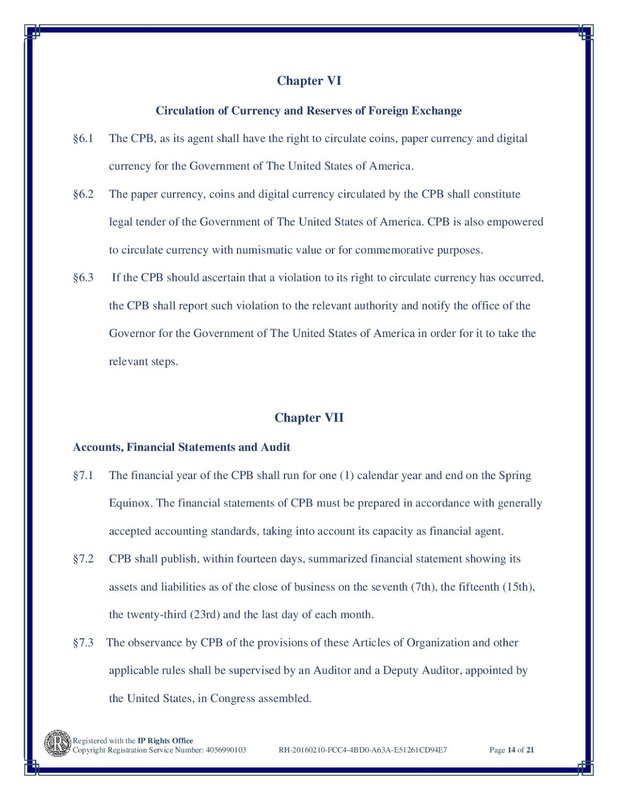 Oh, BTW, the Constitution does not specify ANY symbol for currency. 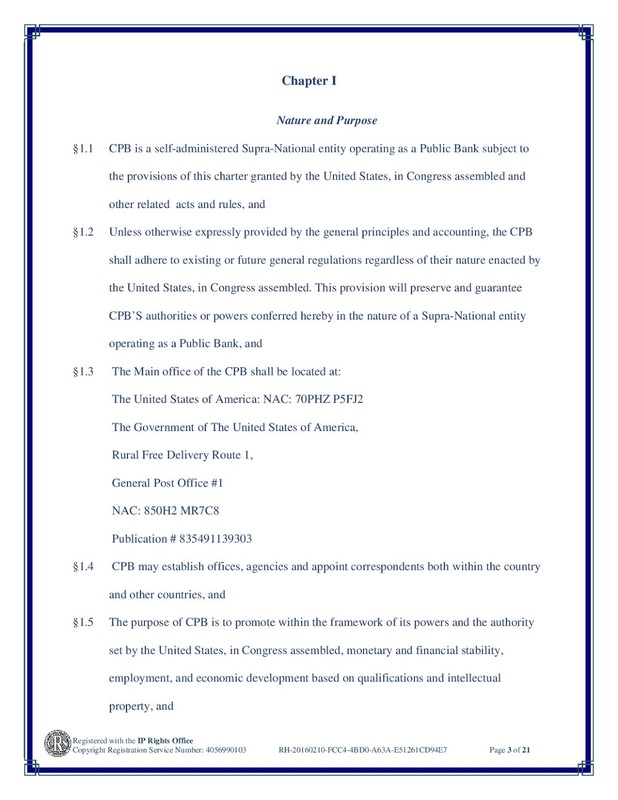 In fact paper currency was printed by states and/or banks until Lincoln signed the National Banking Act of 1863 establishing the federal dollar as the sole legal tender of the United States. 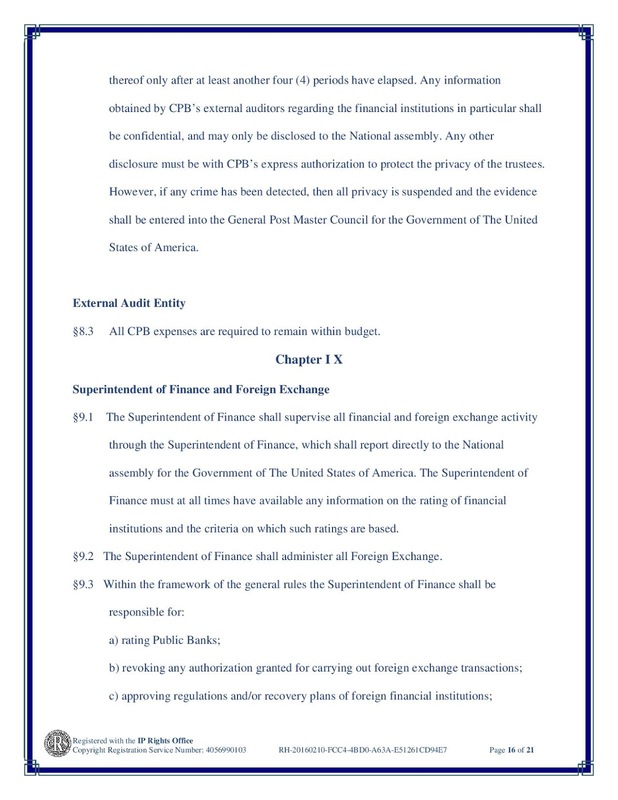 The federal government just minted coins prior to that, as did states and some banks. The $ sign originated in the 1770s, primarily in manuscripts of traders and others doing business with Spanish or Mexicans. Exact origins are unknown, but it resembles the handwritten "P" with a superscripted "s" which is an abbreviation for peso. It came into common us for the dollar in the 1800s. 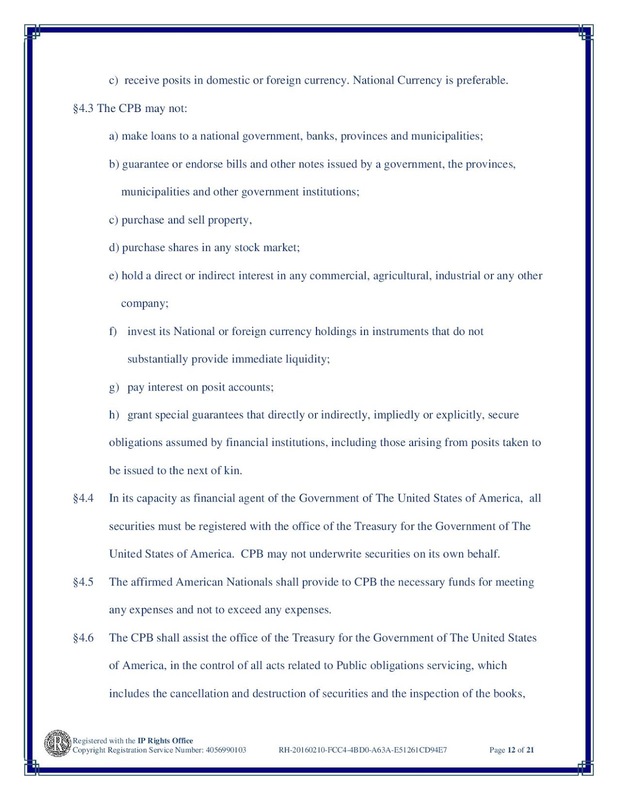 BTW, the term dollar is not set forth in the Constitution either. It was derived from the Low German word daler which was the name of a silver coin in common use in the 1700s. The dollar was adopted as the term for the US currency unit in the late 1700s. I see that these folks like to recycle the same articles over and over. LMAO! Are they trying to remind the old folks or inform the new ones?